I’m a reporter. I left my synagogue because of attacks on the media. BEIT SHEMESH, Israel (JTA) — “What do you think of Jim Acosta?” Shlomo asked me several weeks ago as we stood outside the synagogue chatting during Friday evening services. Crowing over the Trump administration’s decision to revoke the veteran CNN correspondent’s White House pass on what were widely seen as spurious grounds, my coreligionist entered into an earnest diatribe regarding both Acosta’s perceived iniquities as well as those of the fourth estate more generally. I replied gently, pushing back with an explanation of the often adversarial relationship between American presidents and the media. As Shlomo stood there with an intent look on his face listening to my impassioned response, another congregant with whom I was unfamiliar interrupted, insisting that the media were overtly partisan and implying that I was ignorant of how journalism really worked. This incident was far from the first time that members of my community had come to me to express their displeasure with my profession. As the only journalist many of them know, I was and still am a convenient target for them to vent about “fake news,” media bias and other issues. The incidents were never accompanied by anger or hostility toward my person. However, the persistent misrepresentation of my profession and the assertions, both explicit and implicit, that I was hopelessly naive about the purportedly sinister inner workings of the media proved to be too much for me — especially as it usually came from people who had never set foot in a newsroom. My announcement made a small splash, with several colleagues both in Israel and abroad offering advice and encouragement. But, so far, nobody from the synagogue has noticed my absence. 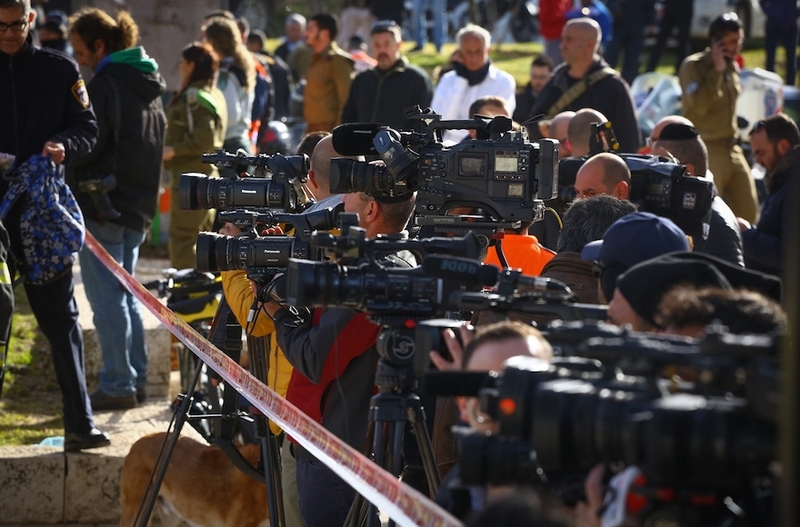 Over the past couple of years I have polled my journalism colleagues at a number of media outlets across Israel and I discovered that none of them has dealt with the kind of pushback I have faced. The consensus seemed to be that because I lived in an especially religiously and politically conservative American immigrant enclave, my case was not representative. While that is true, as far as it goes, I do believe that the hostility I have encountered is a manifestation, admittedly extreme, of the public’s declining trust, in the United States and Israel, in the news media. According to a recent Gallup/Knight Foundation report, nearly 70 percent of American adults “say their trust in the news media has decreased in the past decade.” Among political conservatives this rises to 95 percent. 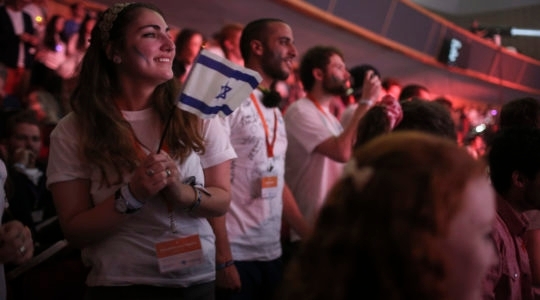 Polling conducted by the Israel Democracy Institute in 2017 painted a similar picture in Israel, finding that only 30 percent of Jews, and 18 percent of Arabs, trusted the media as an institution. What happened to me in the synagogue is what happens to him online, Eyal said. “I have been accused of [everything from] being a spy to working for George Soros, everything you can imagine,” he said. Eyal said that Israeli outlets having taken down leaders from both sides of the political divide. However, the extended length of time that Prime Minister Benjamin Netanyahu has been in power has served to reinforce a belief that the media, which is largely doing its job in digging into the secrets of those in power, is a partisan actor. This, coupled with a relative “deficiency of cultural understanding of the importance of journalism to a healthy democracy,” has led to widespread suspicion of the press. And while Israel is filled with good journalists trying to do the best job possible, he said, the owners of local outlets often attempt to interfere with coverage in order to advance their interests, he said. As examples, Persico noted how Netanyahu allegedly attempted to negotiate a quid pro quo with the owner of the Hebrew daily Yediot Acharanot in which the paper would tone down its criticism of his administration in exchange for eroding the influence of the free right-wing Israel Hayom tabloid. Israel Hayom, meanwhile, bankrolled by the American Jewish philanthropist Sheldon Adelson, has been largely unabashed in its pro-Netanyahu coverage. 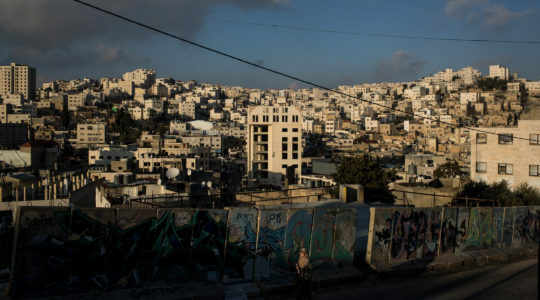 “So in this environment it’s hard for the Israeli citizen to trust the newspaper,” Persico said. However, understanding the roots of the problem do not make it any less pleasant to bear the condescension of media skeptics. My search for a new congregation continues. There’s one near my house where I hear they don’t discuss politics. I’ll give it a try.